Applied Suicide Intervention Skills Training (ASIST), equips key staff to carry out an intervention and risk assessment with a colleague, customer or client who is having thoughts of suicide. Applied Suicide Intervention Skills Training (ASIST) is for anyone, regardless of prior experience, who wants to be able to provide suicide first aid. Shown by major studies to significantly reduce suicidality, the ASIST model teaches effective intervention skills while helping to build suicide prevention networks. ASIST has saved and changed hundreds of thousands of lives around the world. Developed in 1983 and regularly updated to reflect improvements in knowledge and practice, ASIST is the world’s leading suicide intervention workshop. During the two-day interactive session, participants learn to intervene and help prevent the immediate risk of suicide. 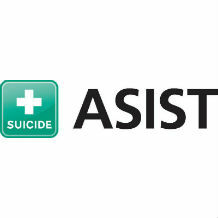 ASIST is an excellent tool for anyone who wants to learn the skills to support a person with thoughts of suicide/ who is in crisis and increase their safety. Key staff have the expertise and confidence to carry out an intervention and risk assessment with a colleague, customer or client who is having thoughts of suicide. The ASIST model helps to standardise referral and link to ongoing support which is appropriate to the person with thoughts, therefore increasing safety. Employees who have attended ASIST will be better equipped to construct policies and pathways to care, that the organisation may want to initiate. Knowledge and expertise is available within the organisation to spot the early signs of someone at risk and speed up intervention. Connecting: Sensitises participants to their own attitudes towards suicide. Creates an understanding of the impact that attitudes can have on the intervention process. Understanding: Overviews the intervention needs of a person at risk. It focuses on providing participants with the knowledge and skills to recognise risk and develop safeplans to reduce the risk of suicide. Networking: Generates information about resources, employee assistance schemes and support agencies which will be helpful to ongoing workplace /community support. An ASIST workshop is led by at least two registered LivingWorks trainers. Some parts of the training take place with all participants together, and others take place in a smaller work group – this helps create a balance between safety and challenge. 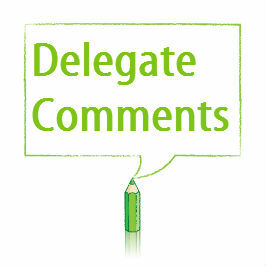 Participants need not disclose personal experiences to the whole group. Each participant will receive a workbook, wallet card, and stickers, along with a Certificate upon completing the workshop. Although safeTALK and ASIST are separate programs, they are designed to complement each other. The two-day ASIST workshop provides skills to intervene with someone at risk, working with them to help them feel less overwhelmed and suicidal. Perhaps most importantly, the ASIST model also involves creating a safety plan to avoid the danger of suicide in the future. It would not be possible to learn and practise all of the ASIST skills in safeTALK’s half-day timeframe, although many who attend safeTALK later decide to take ASIST. Many organisations use both safeTALK and ASIST to create a larger, more effective network of suicide intervention resources. The result is that those at risk of suicide are more likely to have their invitations for help recognised – and more likely to get the help they need in staying safe.